"If you want to be inspired by a great leader, if you want to feel what it takes to do what no one thought possible, if you want to be absorbed by a heroic journey--Tommy Caldwell's story is one of the best you could ever hope to find. Here, in his own words, you get more than just a climbing adventure, you get the inside view of how a person can endure crushing setbacks and persist to fulfill a spectacular vision. And in sharing his story, he has become a teacher to us all." "Yes, Tommy Caldwell is a badass, but he is no different than you or I. I've always been interested in how people do the impossible. 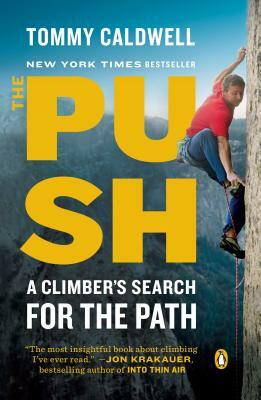 This isn't just a book about climbing, it's about laser sharp focus in all aspects of life. Tommy's story provides insight how we can all push a little further and a little higher."